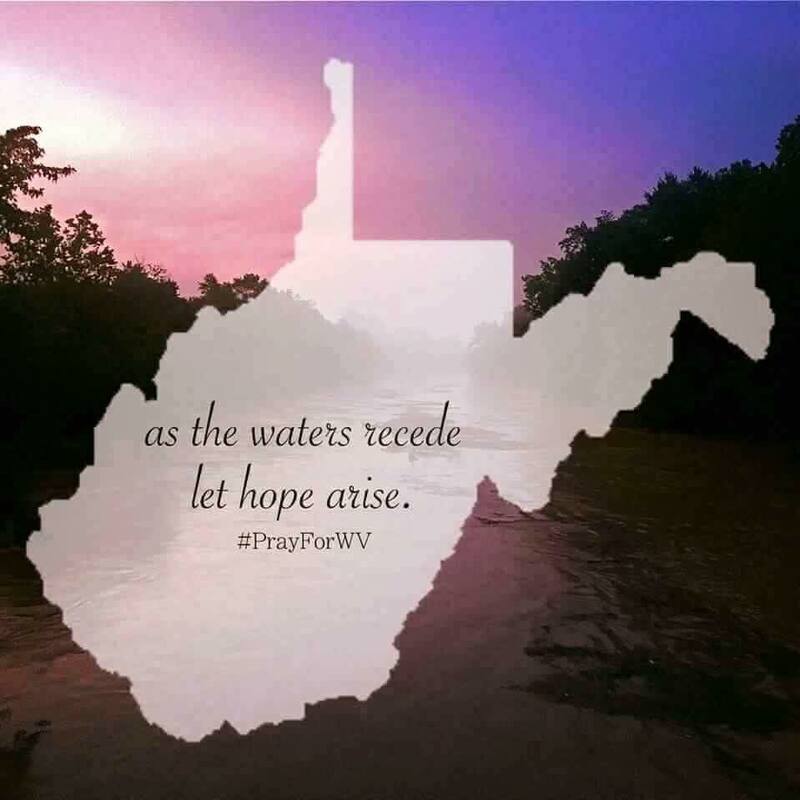 A few years ago, areas of my home state, West Virginia, faced a severe water crisis. Due to the carelessness of a company tasked with storing chemicals in huge tanks, our water became contaminated. Not only was it not safe to drink, but we could not even use it to bathe or wash clothes. What we all took for granted on a daily basis, became a precious resource that was very scarce. Businesses shut down, schools were canceled and store shelves became bare pretty quickly. But people came together to help each other. Neighbors shared bottled water, people and companies from out of state sent tankers of water and other items to help WV residents cope with this crisis. After about ten days, the water was deemed safe to use, and life began to return to normal. •As of Sunday, 25 lives had been lost. •44 of 55 counties in West Virginia were under a state of emergency, mostly in the southeastern area. •Greenbrier, Kanawha, and Nicholas counties’ residents qualify for Federal Emergency Management Agency aid after West Virginia was declared a federal disaster area. •In Kanawha County, a temporary gravel road was built to rescue 500 people trapped when the bridge crossing was destroyed by flooding on Thursday. •Thousands were without power, and more than 60 secondary roads were still closed days afterwards. •An estimated 8-10 inches of rain led to the massive flooding. •The Greenbrier Resort, largest employer in Greenbrier County, is closed to the public until further notice but has opened its doors to flood victims and is offering extensive help for its neighbors. “Children were missing parents today, parents were also missing children. One lady escaped her flooding home and slept in her car with two infants and when rescued today, she did not even have shoes. Children were being loaded onto the national guard trucks with people saying, “We don’t know who these children belong to.”There are still people stranded in homes awaiting rescue. People have been without food or water for over 24 hours now. Many are displaced without important medications. Some have lost everything and have yet to even find their loved ones. But our little communities have come together like no other. When we look at the particulars of this tragedy – 25 lives lost, hundreds of homes destroyed, an entire town under water, it would be easy to seek blame. Though an act of nature, we naturally want to put the blame on someone. And who do we look to blame – God. But this is wrong in so many ways. Our Heavenly Father did not cause the flood. We only have to go back to the first major flood, and the Lord’s response, to see this is true. We know the rest of the story. The flood waters came, everything on earth was wiped out, and Noah, his family, and all the animals on the ark were spared the devastation. Eventually the flood waters receded, and everyone was able to step on to dry land. So, now you ask – God did it once, why wouldn’t He do it again (such as the recent flooding in WV)? God doesn’t work that way. The flood detailed in the Bible happened for a reason, “And God saw that the wickedness of man was great in the earth,”. But He later goes on to explain why He will not allow that to happen again. As we begin the long process of recovering from the recent flood, as we mourn the loss of so many lives, as we strive to rebuild what has been torn apart, we must always look to the Lord, our Heavenly Father, for strength. He will provide for our needs (by sending resources to those who lost everything). He will comfort those who not only lost their homes, but family and friends. And, He will always be there, when all hope seems gone.